Your air conditioning system works through a series of processes that involve refrigerant. In your vehicle, the refrigerant is responsible for removing heat from the cabin compartment. Refrigerant goes through a continuous cycle of air compression that is dependent on your compressor’s drive belt. The compressor pumps the refrigerant through the system where it is transformed from a hot gas into a liquid and then cooled. Through a number of other components, such as the condenser, compressor, and evaporator, the liquid is again processed into a gas, pressurized, and vaporized before being released into the cabin as cool air. Here is a List of our A/C Services for your Car or Truck! Why Ryan's Auto AC Repair Buckingham PA? Like most aspects of car maintenance, treating a problem with your vehicle’s air conditioning system early can help prevent major repairs. For example, an air conditioning system operating on low refrigerant due to a leak will eventually damage the compressor. Replacing or repairing the compressor can be more expensive than sealing the leak and refilling the refrigerant. Some symptoms to beware of regarding a faulty air conditioning system include an inoperative fan or blower, an unusual amount of noise during regular operation, and, of course, reduced cooling capability. 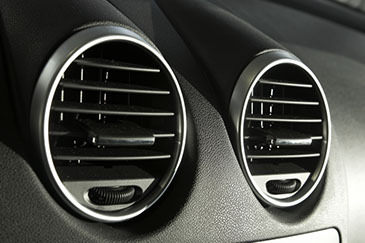 Stale smelling air is another sign that something is wrong with your vehicle’s air conditioner. A clogged compressor, evaporator, condenser, or expansion valve can contribute to AC system failure. Routine maintenance now can help you avoid major AC repairs down the road.